While most of the country has had a rough winter season, it’s safe to say that most of us are ready for spring! With spring starting in less than a week away, why not celebrate with a giveaway? As you all know, I started the year off with a bang (and not the good kind). In January, I broke my ankle and am still recovering. After being put in a splint and two hard casts, I am now in a boot and I am able to apply more weight on to my foot with every passing day. Thank you all for your concern and well wishes. With that said, I would like this giveaway to be a big one, just like the one I did for this past holiday season. 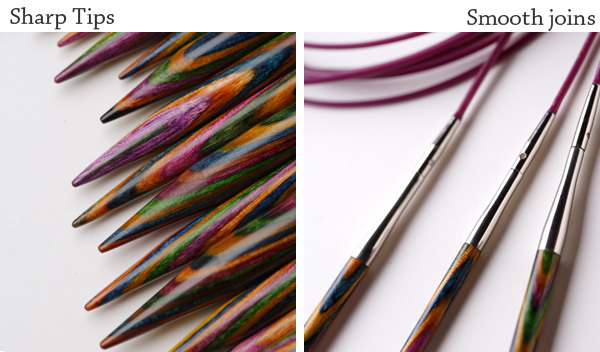 So for all of you who missed out several months ago, here’s another chance at winning a set of Knit Picks’ Rainbow Interchangeable Needles! Giveaway begins today, Saturday, March 14, 2015 and will end Sunday, March 23, 2015 at 11:59pm (Central). No duplicate submissions. Multiple entries will be disqualified. Winner will be determined via random drawing and will be contacted through email on March 24, 2015. Winner will have two business days to respond or else another winner will be chosen. No purchase necessary. To enter, fill out submission form below. Usually don’t have much faith in entering any ‘give away’ but since this ends on my birthday I figure I might just win! 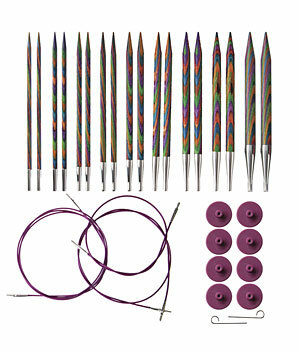 Would love the have these needles, what a birthday present that would be!!! Thank you so much for the giveaway! And I love your blog! Happy to hear you are healing and doing much better. Thank you for this great giveaway! I love Knit Picks, their needles, yarn, books…..